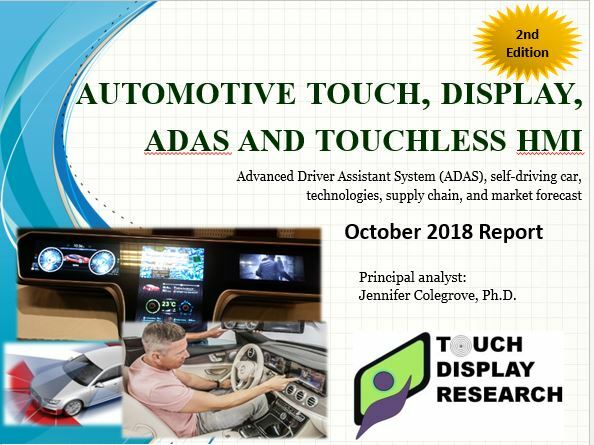 micro LED display Archives - Touch Display Research, Inc. I just returned from CES 2019 at Las Vegas. It’s my honor to meet some of you in person. 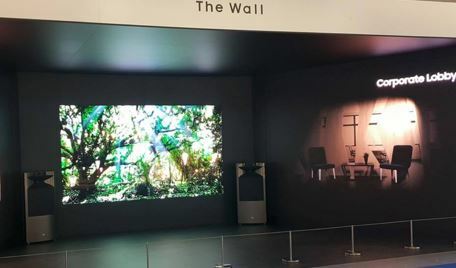 CES is the conference where many consumer electronic brands show case their most advanced technologies and the conference that set the trends for the near future. At CES 2019, Micro LED and mii LED made big splash. 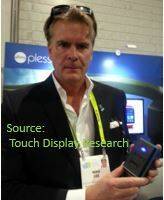 At CES 2019, Touch Display Research was invited and visited Plessey’s booth at the South Hall of Las Vegas Convention Center. We met with Plessey’s President of corporate and business development, Mr. Mike Lee. Mr. Lee showed Touch Display Research their blue micro LED microdisplay, which is 0.7 inch with 1080p resolution. As we know, Plessey’s manufacturing method is one of the 15 methods we covered in the Micro & Mini LED 2018 Report. 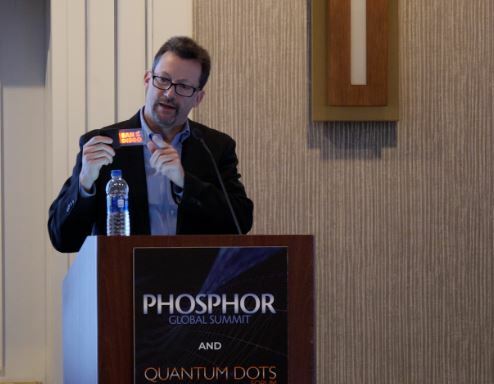 Plessey claims their repeatable GaN-on-Silicon monolithic process method has high yield, good wavelength uniformity, and is scalable and economical. 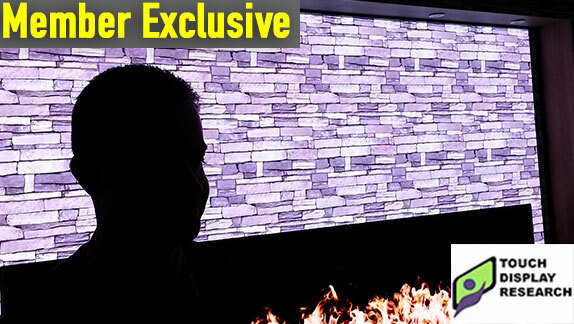 Which new companies are showing micro LED at CES 2019? 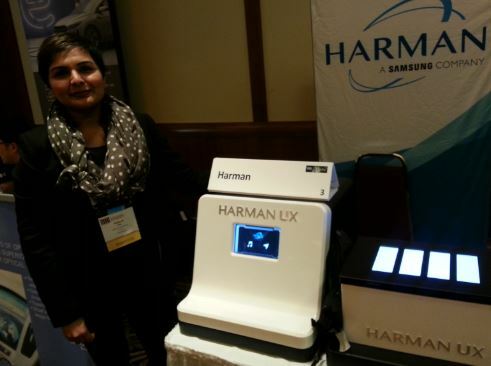 Which startup companies are showing promising new technologies? 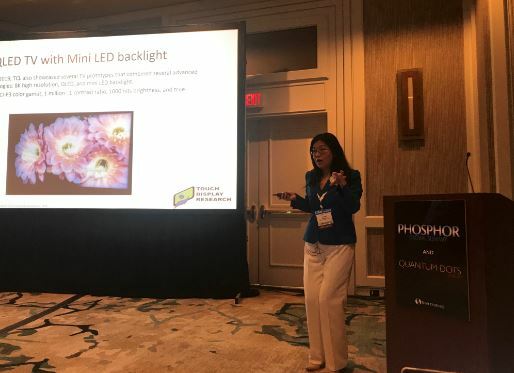 This entry was posted in micro LED, micro LED display, micro LED market report, micro LED report, microdisplay, Mini LED and tagged CES 2019, global micro LED market, Micro & mini LED, micro LED, micro LED market, Mike Lee, mini LED, Plessey on January 14, 2019 by jennycolegrove. August 7, 2018, by Jennifer Colegrove Ph.D. 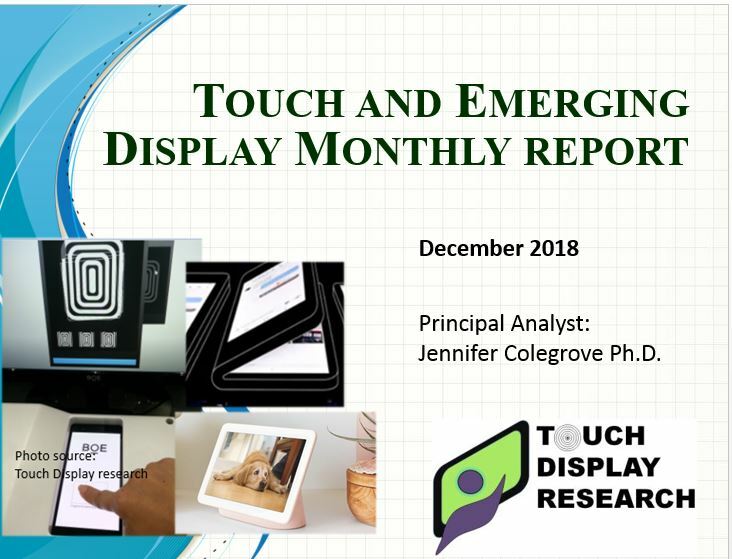 Principal Analyst, Touch Display Research Inc.
Micro LED and mini LED displays are the emerging display technologies currently. 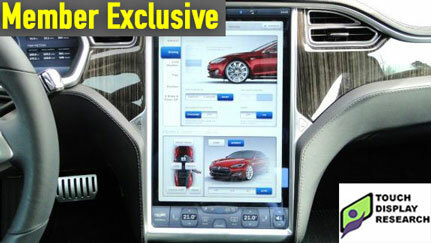 They have the potential to disrupt the whole display industry due to their benefits of high brightness, wide color gamut, low power consumption, fast response time, etc. 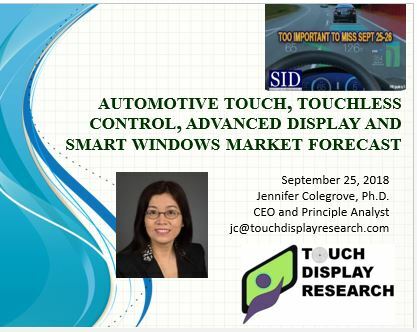 Touch Display Research defines micro LEDs are 99 micron meter (µm) or smaller size for each edge (or diameter if it is round shape). While mini-LED is from 100 micron to 300 micron meter (µm) for each edge (or diameter if it is round shape). 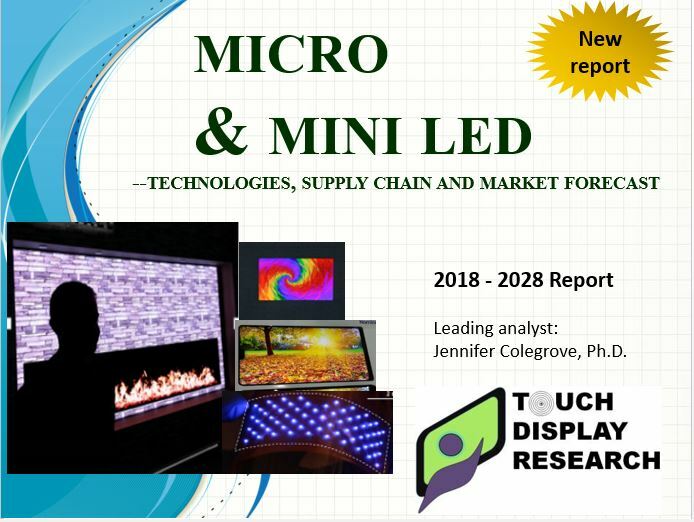 In the recently published “Micro & mini LED Technologies, Supply Chain and Market Forecast 2018-2028 Report,” Touch Display Research Inc., a market research and consulting firm, analyzed all the methods to fabricate micro and mini LED displays along with their supply chains. More than 120 companies and research institutes working on micro LED and mini LED display are profiled in the report. 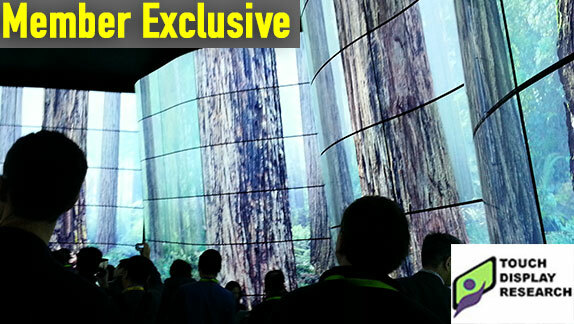 Our survey found that the micro and mini LED display are gaining momentum. There are billion dollar opportunities for LED manufacturers, semiconductor supplier, equipment manufacturers, transparent conductor suppliers, and display companies. The “Micro and mini LED report” sample is available upon request. Market data in the report includes 11 years forecasts (from 2018 to 2028). This entry was posted in micro LED, micro LED display, micro LED market report, micro LED report, microdisplay, Mini LED, wearable and tagged global micro LED market, micro LED, micro LED market, micro LED report, mini LED on August 7, 2018 by jennycolegrove.